When my husband and I decided to build our home, he knew exactly that he wanted Jeff Howell to build our house. I went with my husband’s decision and we went with Jeff as our builder. We are so ecstatic that we went with Jeff Howell. The build went perfect. We could have not asked for a better contractor. Jeff called daily, making sure we knew exactly what was going on with our home. We were always informed, never in the dark. He was very knowledgeable of where to get ideas, materials, and such. We were amazed of how Jeff can come into a room and paint the picture of what you want. We cannot express how very happy we are with our dream home. We absolutely love it… we don’t want to leave! 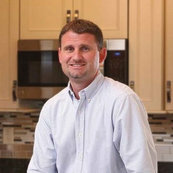 I hope you will give Jeff Howell a chance to build your custom home. We’re glad we did, YOU will be too!! !